Bret Easton Ellis, author of American Psycho, Roald Dahl, author of Charlie and the Chocolate Factory, and Winston Groom, author of Forrest Gump. One thing all these authors have in common is that they were all famously dissatisfied with the film adaptations of their respective books. Despite some of these movies being box office hits and/or critical darlings, the film adaptations of these literary works garnered much disdain for Hollywood from these authors. The process of getting a book to become a motion picture (or any other form of content) is called optioning. 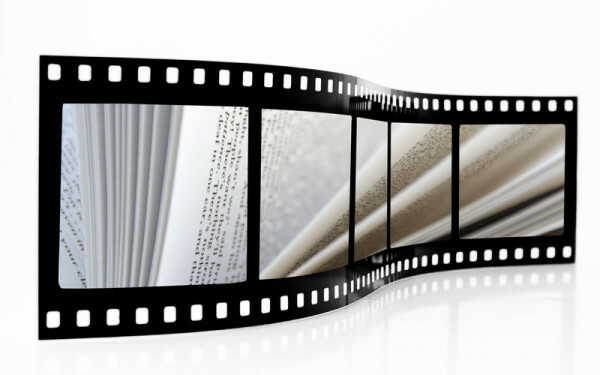 A producer will normally option the right to adapt a literary work into a movie for a contractually agreed upon period of time (customarily 18 months to two years). During this period, the producer will have the exclusive right to develop the literary work into a motion picture. If, during that time, the producer is able to set up the project at a studio or raise independent financing, the producer will exercise the right to outright purchase the work, under pre-negotiated terms. If the producer, however, is unable to develop the book into a movie for any number of reasons, then, after the specified time period ends, the rights to the work revert back to the author. The author can then option the same work to another producer hoping for a better outcome. Some authors have notably optioned their works numerous times to multiple producers over the course of decades in the hopes of seeing their story unfold on the big screen. Although it may be in the best financial interest of an author to option his or her book, the author should be aware of the pitfalls of entering into such deals. Issues over poor casting decisions, bad dialogue, oversimplification, or even an apparent lack of understanding of the true vision of the author often arise in the process of adapting a literary work for the screen. In negotiating a book option deal for an author, it is important to maintain as much control over the film adaptation as possible. At times, an author can, depending on his or her fame or clout, retain some creative control by negotiating, for example, the right to consult with the director, have say in the casting process, or write first draft of the screenplay. Other times, the author may get a terrible deal and have little to no recourse. A noteworthy book option disaster story is the case of Clive Cussler and Sahara, the Matthew McConaughey box office bomb based on Cussler’s novel. Cussler, although reportedly having made $10M from the option/purchase deal, publicly expressed that he felt shut out of the creative process for the adaptation of his novel, including not being allowed to provide any input into the script. Without expressly retaining creative control, the screenwriting process eventually involved ten different writers and Cussler proclaimed publicly how dissatisfied he was with the film adaptation. This led to bad publicity and a suit filed by Cussler in 2004 (before the film had even concluded filming) for more than $100M in damages for breach of his agreement and failing to properly include him in the development of the film. Crusader Entertainment countersued claiming $65M in damages and alleged that Cussler had acted irrationally and destructively in regards to his (albeit, limited) consultation and approval rights, disparaged the film’s box office prospects by telling his fans not to see it, and defrauded the production company by misrepresenting book sales. After almost a decade of litigation, millions spent on legal fee, and damages awarded by lower courts only to be reversed by the appellate courts, neither party walked away with any monetary or declaratory relief. Also lost was any prospect of the movie turning a profit or becoming a flagpole franchise (much to the chagrin as its studio, Paramount Pictures). And all of this could have been avoided had Cussler initially entered into a solid, favorable book option deal. Among other rights owners, U.S. Law Group’s Managing Attorney, Usman Shaikh, recently represented acclaimed author Mike Kim in selling the feature rights to his book, Escaping North Korea, to actor Daniel Dae Kim (Lost, Hawaii Five-O) who would portray Kim in the film adaptation. Not wanting Kim to be on the list of the above-referenced dissatisfied authors, Shaikh negotiated a favorable deal for his client with, among other things, Kim maintaining certain creative control over the feature film’s casting and production, consulting fees, a producer credit, and a healthy participation in the profits of the film. U.S. Law Group works with rights owners and content creators in the exploitation of their works, including negotiating and structuring literary work and life rights acquisitions, co-production, financing, licensing and distribution deals. To learn more about our Entertainment & New Media practice area, please visit our site.